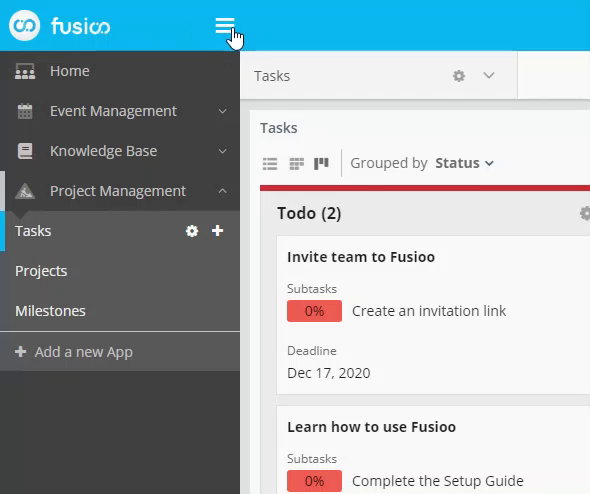 In Fusioo, everything happens through your workspace. The workspace helps you navigate through your Apps, create new records and collaborate with other Users. If you wish to learn how to create a basic App, you can do so from here. The sidebar displays Apps that are accessible to you. For better organization, Apps are grouped into Bundles. 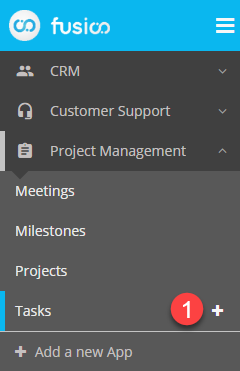 Note: The sidebar can be collapsed to increase your working area. 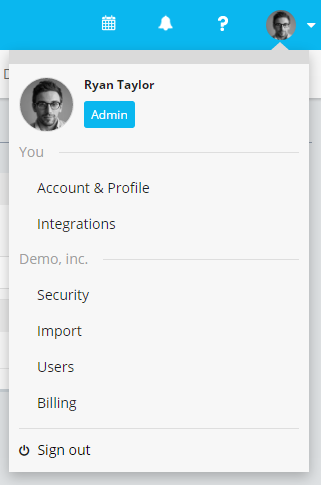 If you have admin access, you can organize everyone’s workspace by creating new bundles. To navigate to a specific App, all you have to do is click on that App (1) in the sidebar. 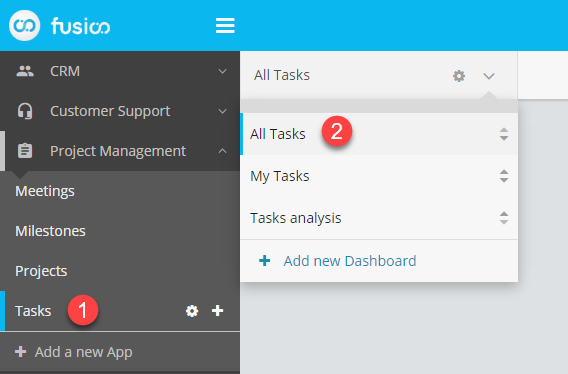 Each App can have multiple Dashboards. For more information on creating records you can refer to the Creating a record section. Widgets in your Dashboards will display the App data in different ways. Fusioo lets you filter your data in real time. This is useful when you want to focus on particular data segments. 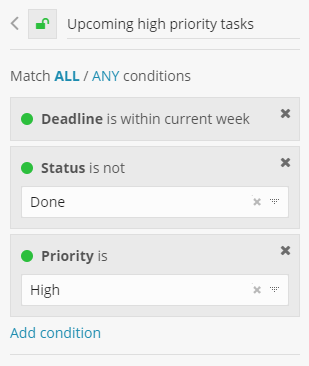 Note: All widgets will refresh automatically to adjust to the set filter conditions. The Saved Views section contains more detailed information about data filtering in Fusioo. 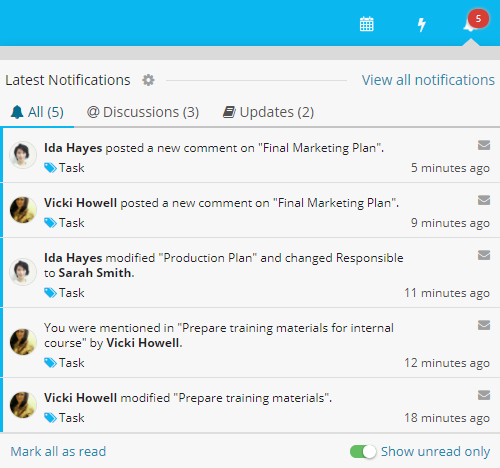 From the workspace you can access any notifications you receive. Administrative tasks like exports, imports and activating marketplace Apps.